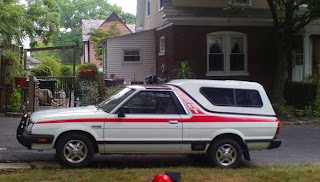 1984 Subaru BRAT Turbo - I've always like BRATs. There is something cool about them. BRATs are not trucks, by the way. At least not in the governments eyes. Back when the BRAT was being built, passenger cars imported into the US were charged a 2.5% tariff, compared to 25% on light trucks. To get around the truck tariff, Subaru welded-in two incredibly uncomfortable rear-facing jumpseats in the cargo area. They also laid down a bit of carpeting. That was enough to get it declared a passenger car. This BRAT is a somewhat rare turbocharged version. The turbocharged BRAT had more power than the normally aspirated version, but only came with an automatic transmission. Still, given the choice of a turbo with an automatic or a non-turbo with a stick, I'd go for the turbo. 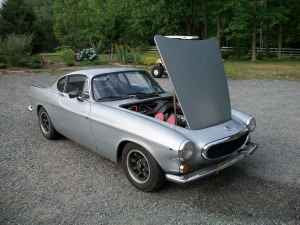 1967 Volvo 1800S - This could be a bargain. The 1800 is slowly becoming a desired classic car. A little trivia - The first 6000 or so cars were built by Jensen in England and called the P1800. In 1963 Volvo started building the car themselves. It became the 1800S. The "S" indicates that the car was built in Sweden. This 1800S appears to be in very nice condition. However, 1800s rusted and this car looks like it has been repainted (based on the inner fenders it may have started life as a red car). Check it thoroughly for poorly done rust repairs. If it's everything the seller says it is, the asking price of $5750.00 is very reasonable. Located in Lake Anna, VA, click here to see the Craigslist ad. 1969 Ford F-100 - There are few vehicles that are more "American" than the Ford F-Series trucks. They've been around since 1948. They are currently the best selling vehicle in the United States. Back in the day, this was the workingman's truck. There was nothing fancy about it. 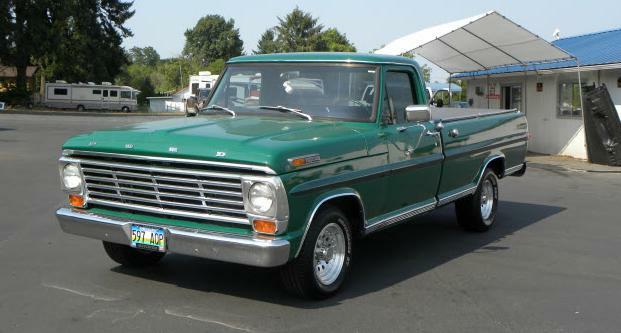 This F-100 has been beautifully restored. It has a few very slight mods to it, but nothing crazy and they enhance the look of the vehicle. I'm not a pick up truck guy, but I found myself wanting to own this one. Located in St. Helens, OR, click here to see the Craigslist ad. Are you aware of the fact that the highest-mileage car in the world is a Volvo 1800S? It is owned by one Irv Gordon of Long Island, NY, who bought it new in 1966 and immediately started racking up the miles. Right now, it is at 2,810,000 miles and counting - his goal is to make it to 3 million. I have personally seen this car before and it is in immaculate shape. Irv has had the engine rebuilt just twice: once at 680k miles and the second time at 2,690,000. Even the transmission is original!